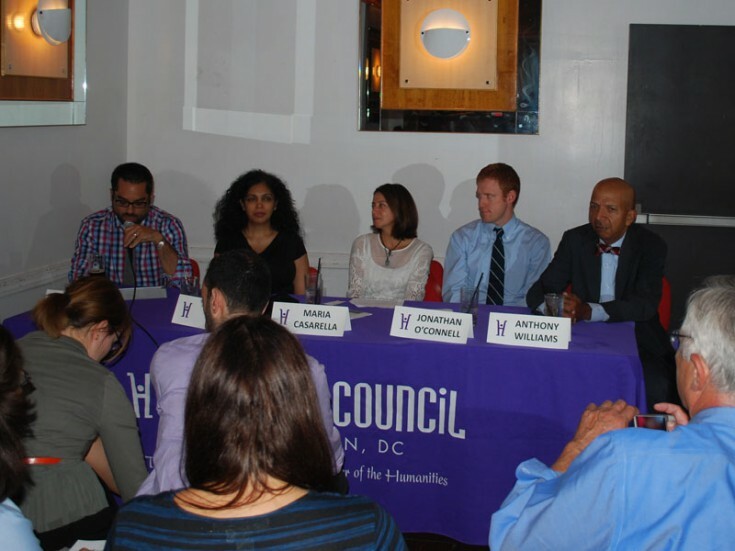 Ms. Casarella joined local leaders to discuss the cultural and economic impact of urban revitalization in the District of Columbia. The event, “ Is it Renaissance or Gentrification? “Examining the Role of Public Policy and Economic Development? is part of the Humanities Council of Washington’s “Humanitini “ series. Moderated by Washington City Paper editor Mike Madden, the panel also included former Mayor Anthony Williams, Washington Post business reporter Jonathan O’Connell, and fellow Historic Preservation Review Board member Rauzia Ally. The discussion ranged from government development and the whispers of resident displacement to the importance of parks and maintaining natural recreation spaces. Washington, DC is growing at a rapid rate, 5% over the past ten years, and with this growth comes the chance for revitalization. The role that government plays in that effort becomes the topic of heated debate, citing failings of the past and threat of recurrence. Ms. Casarella pointed out the Historic Homeowner Grant Program and Historic Preservation Review Board’s endorsement of Landmark registration for modest early 20th century apartment buildings as proven examples of preservation policy that mitigates the impact of rapid development in historic neighborhoods.